Stock photo found by GIS. Around this time of the year, as mentioned previously, I get emails inquiring about trip ideas for the Colorado backcountry. While myself and others have pre-made routes, be it in print form or online, that is only one way to get some ideas. These routes tend to be well liked and popular. Plus these routes tend to be on-trail. The exciting stuff is often off-trail! When I am looking for ideas, I can “go to the well” and do some old favorites. But, and this may be a failing on my part, I tend to get bored doing the same trip multiple times. So what to do? How do I personally find new trip ideas in a familiar area or even new areas to explore? 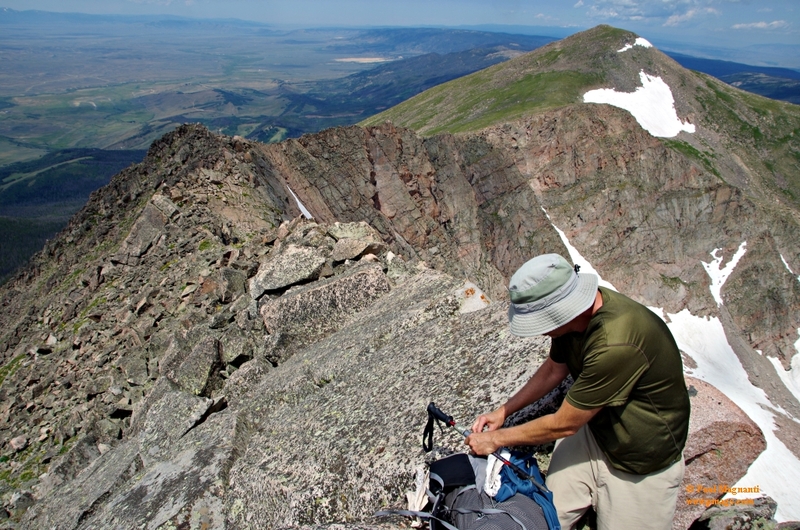 Here’s my own process to find new places to hike, backpack, camp, or even ski. Knowing what the conditions on the ground is the first step. I know a high country trip in the Colorado Rockies in March is probably not going to work if I don’t bring skis or snowshoes and other winter gear (And the knowledge to use this equipment correctly!). Likewise, I’d better really enjoy desert hiking and intense heat if I want to backpack in Canyonlands National Park in July! How to get this information if not living in the immediate area? As with most things in life, Google is your friend. Some quick Googling will tell me that April is perhaps not the best time to hike in the Rockies . The ski areas are still open and a park website says there is still quite a bit of snow. But if I try a different search, seems like Utah is popping up a lot. I also see that there is a lot of Colorado wilderness areas in western Colorado near the Utah border. Hmm..looks more promising! Colorado in March. Elevation is roughly 11500 ft.
Something such as a Benchmark Atlas will show many wilderness areas, BLM lands or obscure national monuments. If I want to plan a trip, and find an area I have not explored, this type of atlas is awesome for finding these areas. These books often have a larger overview map and then more detailed info on the map pages themselves. Perfect for finding areas I have not thought about. Another good idea for this type of information for Western states, suggested by Ted Elrich at Trailgroove, is Publiclands.org . Want to see how isolated of a place may be? Dark Site Finder is very helpful. Once an area looks good, it is time to get more specific information about the area. What maps do I need? What are some more precise driving directions? Any permits or other red tape involved? Seasonal closures? And so on. A great site for this type of info is Summit Post. A site somewhat aimed at climbing, I find this site often answers many of the questions I may have about a specific area. Sometimes there may even be topo maps to download. What I like about Summit Post is that the included links often lead to the government agencies that mange these sites. If Summit Post does not have the information, then Google is again your friend. Find the specific BLM office that manages that area. Find the directions to the place. Other trip reports may have maps or general information. You may have to email the specific office…or, gasp, call the office directly for information. And if you are new to this type of trip planning perhaps balancing safety, planning and a sense of discovery may be a concern, too. A call to the BLM office would clarify. Once an area looks good, time to plot out a route. 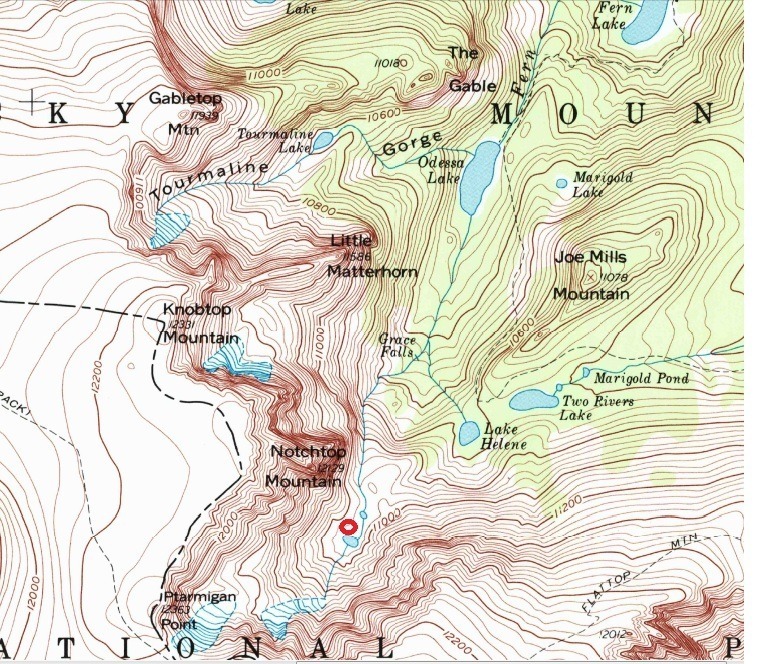 CalTopo is a service that has 7.5′ topo maps online. Study the map, see what looks doable for your own comfort and safety levels along with your personal technical abilities and navigation skills. Are those tight contour lines going to be more of a Class 4 scramble? Perhaps a little west may be an easier Class 3 option? 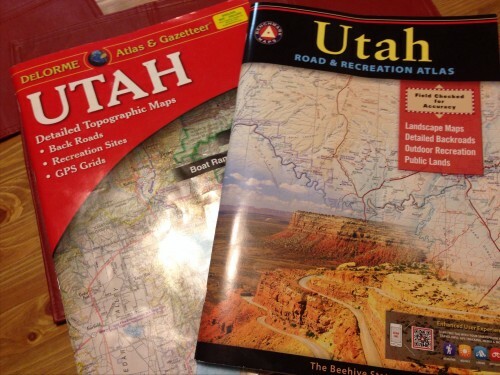 The topo maps can be outdated in terms of trails or roads. A commercial hiking map such as the NatGeo Trails Illustrated series works well. Or sometime the Forest Service layer found in CalTopo can be instructive. The 7.5′ topo maps are best for an off-trail jaunts esp when the terrain is more technical. But sometimes the TI map is a preferred option depending on the area or situation. Another option that works well for pre-trip planning is the satellite view in Google Maps. Great way to potentially see how rough the terrain may be or even if the approach road is able to be traveled by your vehicle. And that’s it! Nothing too difficult about finding a route to hike. Just a little elbow grease in the form of research and knowing the type of trip you want to take. Again, pre-made routes with all the information in one hand-dandy package can be an option. But there is something immensely satisfying about finding out an area new to you, getting the correct information on it, plotting out a route and then going on the trip. We plotted out this route by looking at a map. Next → Next post: Are you going “Hiking” this year?